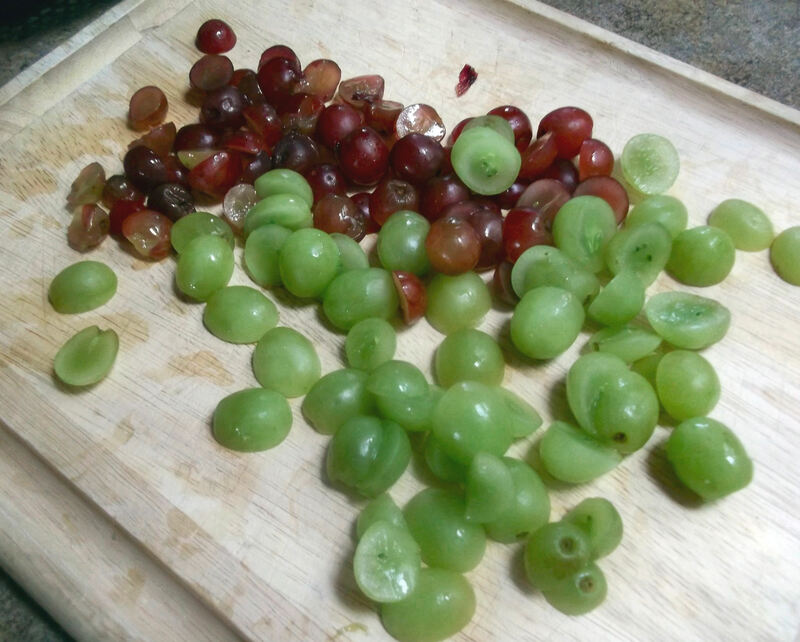 I recently made my Cold Chicken Salad with Grapes, which calls for lots of grapes sliced in half. The day before I made it, this viral video was going around showing a “genius” way to slice lots of grapes at a time. Curious, I watched it, but I think my technique is easier and far more genius. Try it with any small round things you need to slice (cherry tomatoes, olives, cherries, etc. ), as long as they don’t have pits. 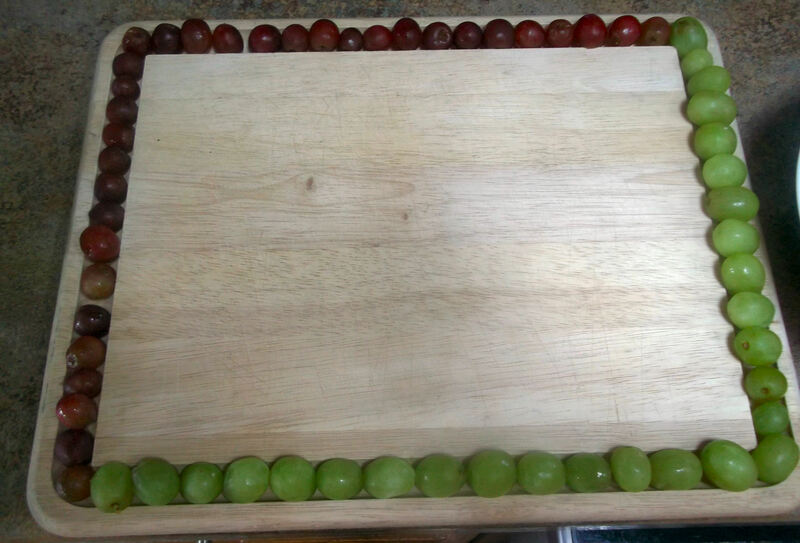 Step 1: Line up the grapes in the grooves of a cutting board. Step 2: Using your fingers (very carefully, of course) to keep the grapes from rolling off, run a sharp knife through the groove to slice through the grapes. Step 3: Find something to do with the extra 20 minutes you just saved yourself today!